Join Kimberley Kleczka, author, songwriter and entertainer, as she brings you and your little ones just the *Edutainment you've been looking for! All the latest updates and new product information will be made available to our members! 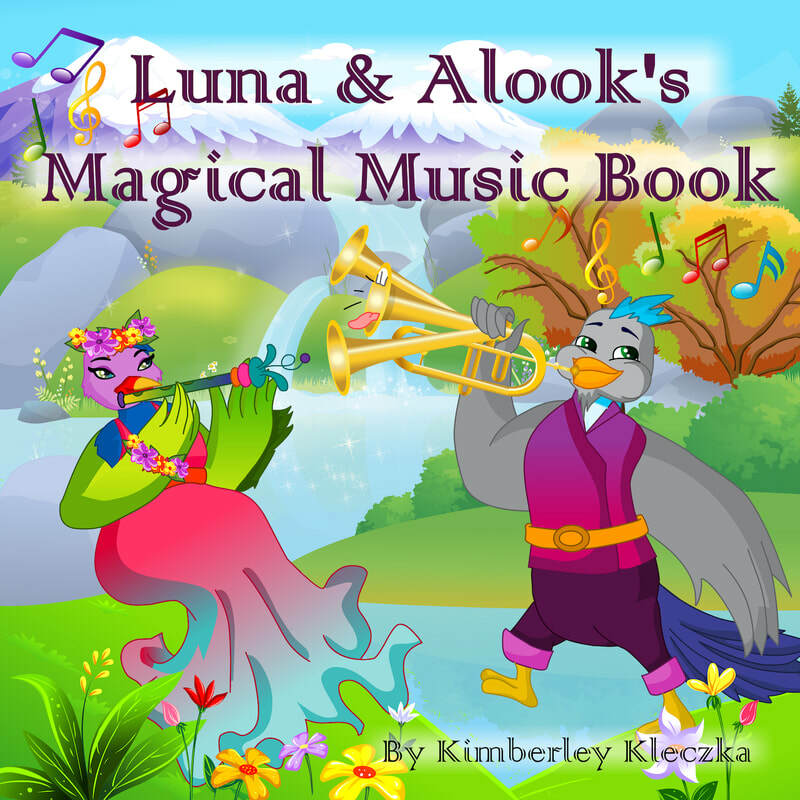 Luna and Alook's Magical Music Book book is children’s rhyming book with vibrant eye-catching colorful illustrations, which help children visualize the story. This book is about the magical music adventures of these two fun loving birds. Luna and Alook get sucked into the magical adventure travel book and then come to discover a beautiful picturesque town, where they get to meet lots of interesting characters, including unusual musicians playing funny instruments. Click HERE to download a FREE copy of this fun rhyming children's story. You can view it as a PDF, save it to your iPad, Kindle Reader, tablet, PC, MAC or however you prefer to view it. This is our gift to you for visiting our Koolamundo world! Click on the image above for a FREE copy of this book. Click on the image above to listen to the Dobby song. Learn More About Our Klara The Cow Whole Package! Puppets, Backpacks, Books and Activity Books Available. ​Click above to listen and get ready to move! *Edutainment - A fun and pleasing combination of Education and Entertainment.